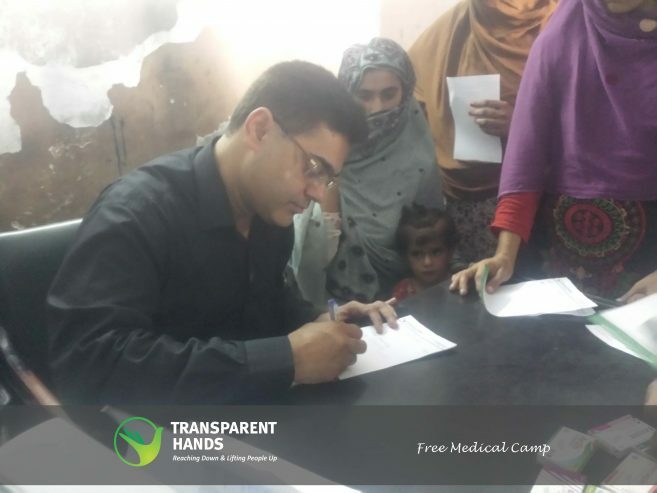 Transparent Hands organized free medical camp in Kot Asadullah Khan sponsored by Qamar Khan, Chairman of Hydro Power Engineering (HPE). The Camp was organized at Sania Public School to support the poor people of that area. 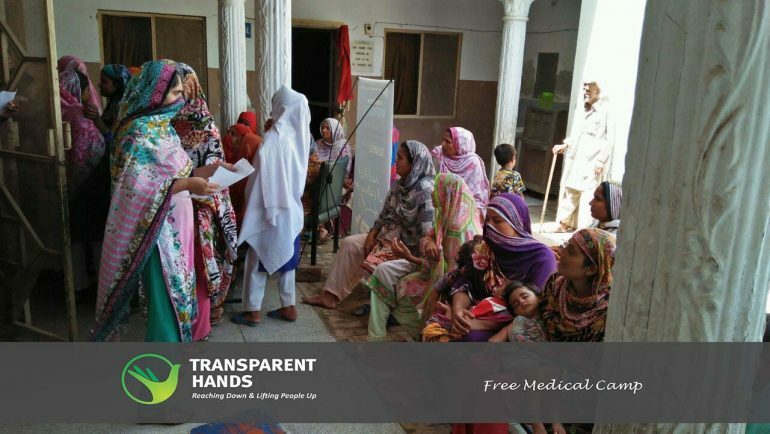 Transparent Hands gave free checkup facility to 239 patients in total out of which a few patients were further registered with Transparent hands for free of cost surgical treatment . These people were experiencing various health issues including high blood pressure problem, fever, iron deficiency, high sugar level and many other diseases. 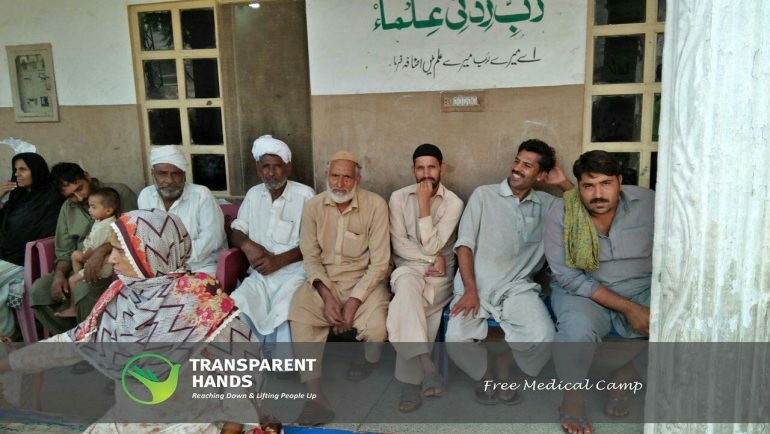 These patients were unable to undergo medical treatment themselves because of limited income. 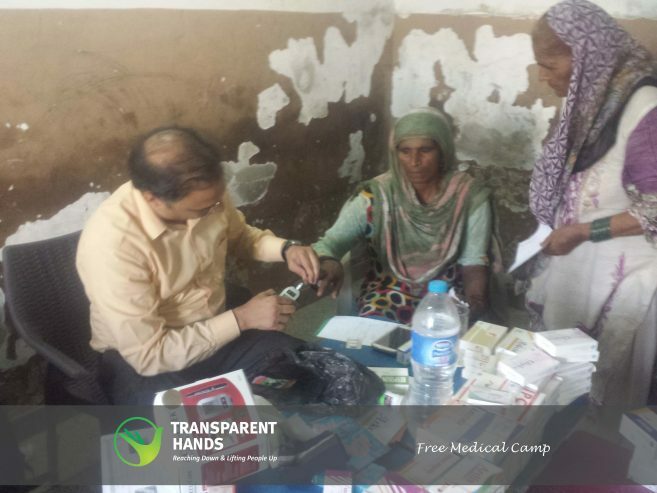 Transparent Hands also provided free medicines to all the needy patients with immense support of 3S Pharma. 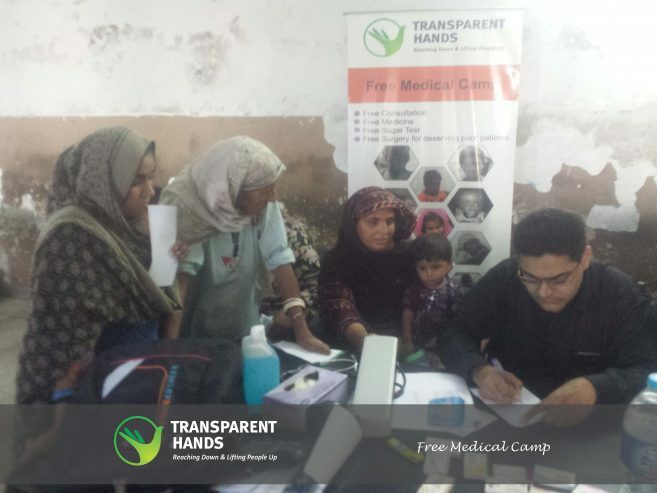 Free blood sugar check up facility was also provided to the deserving patients in the camp.